I decided to make an off road stop on the way to pick up my daughter from college. The Wilderness Road Regional Museum looked like the perfect place. If you happen to be looking for a picnic spot there is a wayside stop in front of the nearby United Methodist Church. A few months ago I was able to drive on the motor route of Wildnerness Road. This follows and approximation of the original path. At points, Hwy. 25 is directly on the old route. Seeing the verdant woodlands gave me a better appreciation of the role that Wilderness Road played in U.S. history. The road was a popular migration route for settlers. It was used by both sides of the Civil War. Control of the route could mean a steady supply of needed supplies, or not, depending on which side you were on. History of the road began in the 1600s when it was used by Native Americans. Land would be granted in the 1700s that led to the modern history of the route. The Wilderness Road Regional Museum has artifacts that date back to 1810. Among the historic documents are the earliest records of Pulaski, Virginia. The museum itself consists of one main building and a handful of outbuildings. A small fee is charged that goes toward the upkeep of the museum. 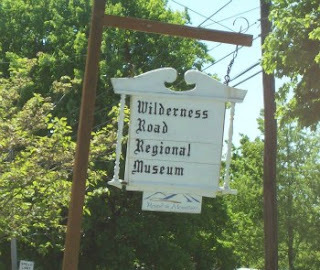 Be sure to check out the website for operating hours and current fees at the Wilderness Road Regional History Museum.